The content marketing world is a large and expansive area that takes many marketers years to fully comprehend. Content marketing is a constantly evolving field that has the ability to make or break many businesses. Without a foundation in the important concepts of content marketing, small business owners will be left in the dust of the digital marketing race. This is the first piece in a Social Fusion series on content marketing. Content marketing is the process of creating and distributing valuable content to a target audience with a specific conversion as your objective. Content can be generated in various blog formats that will grab your audience’s attention and generate conversions while creating value for your potential customer. Create- This begins with a brainstorming session and concludes with a completed piece of content, designed around a specific message and strategically written to provide value to a potential buyer. Optimize – Keyword research plays a key role in content creation, as selecting winnable keywords will enable optimization for search engine rankings. This step is vital as organic search results are driven by content, and content is driven by keywords. Publish- Publishing content is a lot more than putting the words on the screen. This step includes presenting content in an easy to read format, adding attractive photos or videos, and loading and scheduling the piece into a content management system. Distribute- This is the game plan of through what avenues your content piece will be distributed, such as an email campaign, paid advertising or social media. The rule of thumb here is that marketers should spend as much time distributing content as they did creating it. This is a frequently neglected step! The content marketing process is much more than just these few steps. Components such as sourcing, analytics, influencer marketing, and real simple syndication (RSS) can compound and complicate the process without a clear content marketing plan. Why should we care about such a complex process? As our marketing world shifts away from traditional outbound marketing methods, it is imperative to adopt new strategic approaches to effectively reach potential customers. 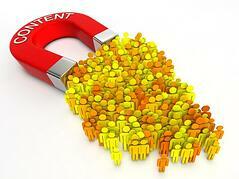 Content marketing is the top marketing strategy in a world where consumers are overloaded with irrelevant information. Mass advertising efforts are often ignored by consumers who don't like to be "sold" on a brand. Subsequently, potential customers seek relevant information to solve a problem on their own, which is where content creation comes into play. The content marketing process begins by creating content, yet there is first a critical step that is often overlooked. Before putting pen to paper, or finger to keyboard, brands must set an objective or a goal for every single piece of content they are creating. Naturally, these objectives will vary from piece to piece and brand to brand, but with a clear objective in mind, content marketing takes a more customized approach. 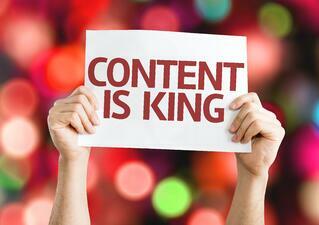 So, what is your business objective for using content marketing? Small business owners may be overwhelmed by what is simply the tip of the iceberg that is content marketing. 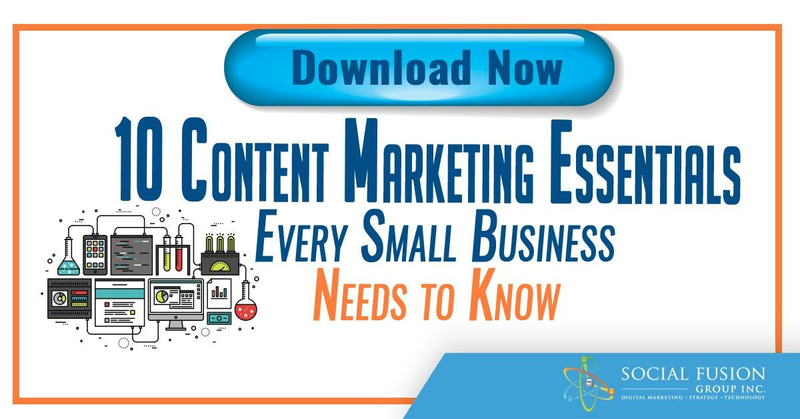 Many small businesses seek the help of a marketing agency to bolster their content marketing efforts. Whether being managed in-house or with the assistance of a well-vetted digital marketing agency, content marketing is the present and will continue to be the future that drives digital marketing.